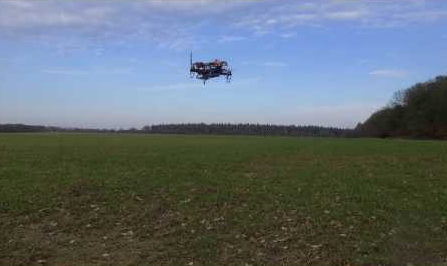 We were excited to launch a new BeagleBone last week at Embedded World: BeagleBone Blue is a complete, Linux-enabled robotics computer. 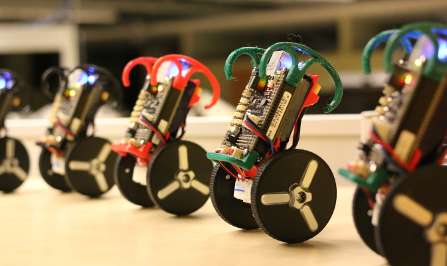 Community-supported and fully open-source, the real-time performance, flexible networking and rich set of robotics-oriented peripherals make building mobile robots quick and affordable. 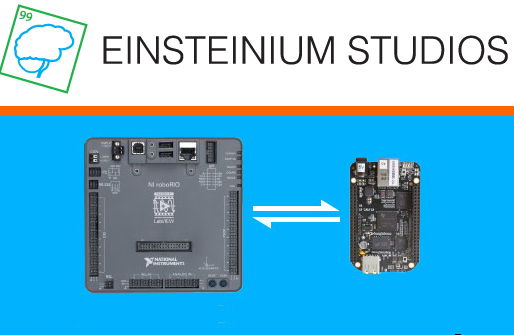 Learn more about the BeagleBone Blue in a quick board tour by Jason Kridner. 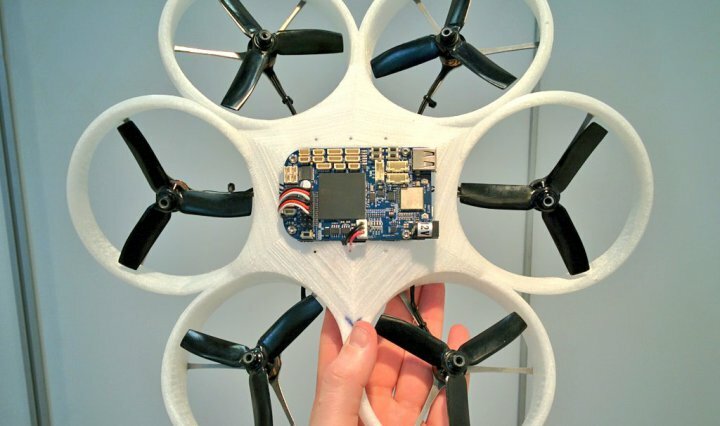 Schematics, PCB layout and Bill of Materials for the BeagleBone Blue are available on GitHub. 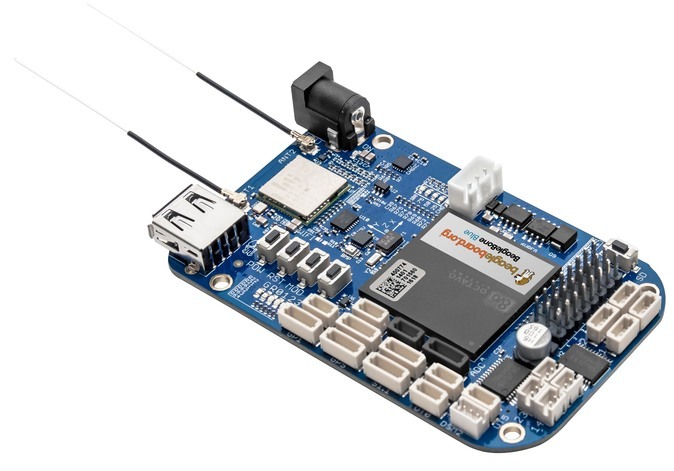 BeagleBone Blue is available from Arrow, Element14 and Mouser. Compatible accessories such as robot chassis and cable assemblies are listed on the BeagleBone Blue wiki. BeagleBoard.org is a mentoring organization for Google Summer of Code 2017. The deadline for students to apply is April 3rd. ARMDevices.net interviewed Jason Kridner and recorded BeagleBone Blue demos in our Embedded World booth. 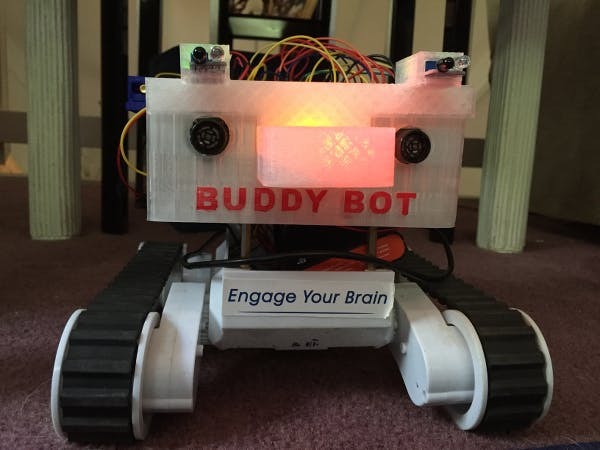 Jon Hoffman developed a Swift library to interact the BeagleBone's I/O pins, and he used the library to create BuddyBot, the 1st robot programmed in Swift. Debian 8.7 (Jessie) 2017-03-19 images are now published. Windows and Mac users no longer need to install drivers for USB networking. Jason Kridner announced BoneScript is back under active development. Jason Kridner explains the recent change to disable ssh for root by default. 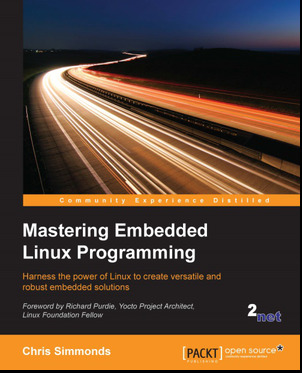 Charles Steinkuehler describes the role of the pinmux helper driver.